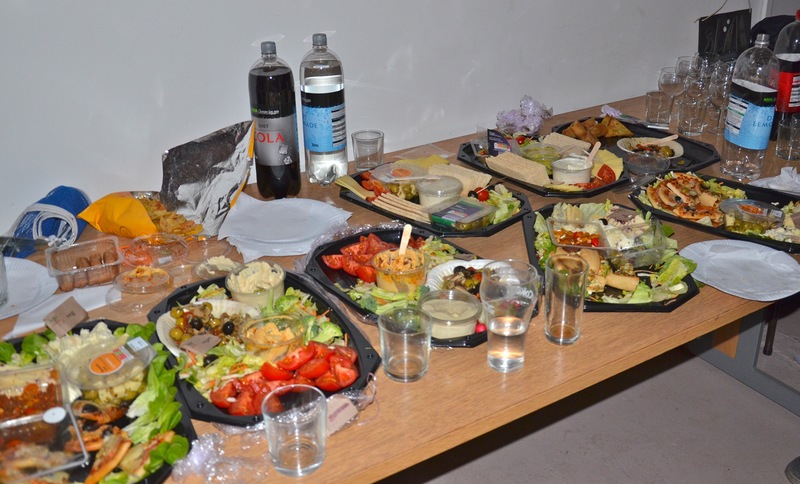 Food provided by Fareshare, otherwise destined for landfill! It’s good to recycle your unwanted stuff but in spite of an increase in the city’s recycling, we are still sending ever more to landfill. So, what is happening? Are we all having a mass de-clutter? Are cellars and lofts around the city being emptied as I write? I suspect the real answer is that we’re simply buying more new things and not re-using what we already have. Re-use involves a fraction of the energy of recycling, which involves breaking down the item into raw materials and creating new items. By far the best way to re-use if you really don’t want something anymore is to give it to a charity shop so they can make some money out of it’s re-use. Giving to friends or neighbours is also great. Keep it as local as possible. But, if like me you have that pile of things in your head, physically scattered around the house, that are just too worn, stained, broken damaged or strange to give away what hope is there? Kecks Clothing upcycles clothing for women and men. Helen can make a bag from an old t-shirt in moments with no sewing! Sew Bristol might just be the answer to what to do with my well loved, can’t throw away, clothing with its holes and ink stains! Baby Bank Network redistributes all that baby stuff that swamps us- how I wish they’d been around a few years ago! There are many other, more well known members such as Bristol Textile Recyclers, Bristol Wood Recycling Project, Emmaus and The Childrens Scrapstore. 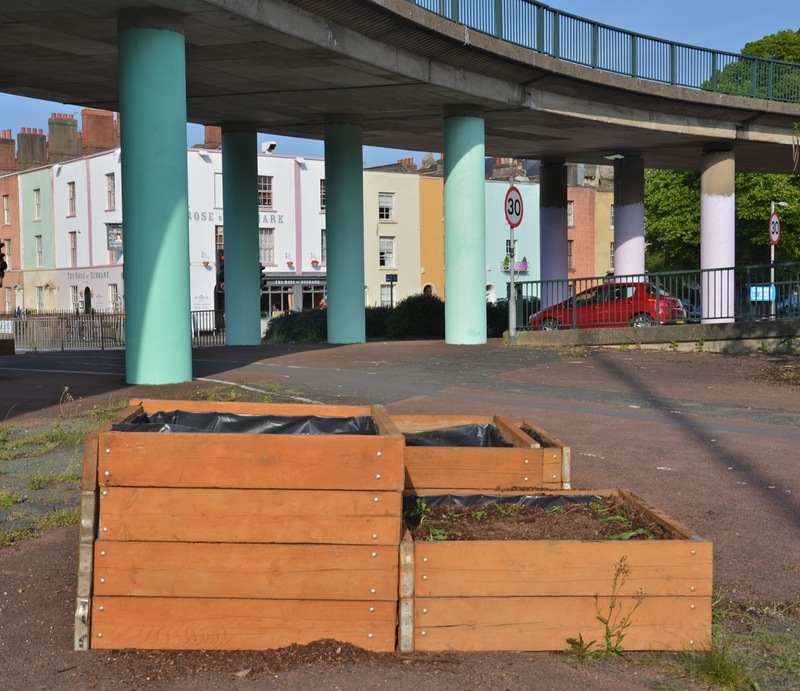 Bristol Re-Use are investigating sites where lots of projects could be grouped together. We could take our unwanted things, or rubbish, as an alternative to the dump, and even shop for ‘new’ things while we’re there. What a great idea! 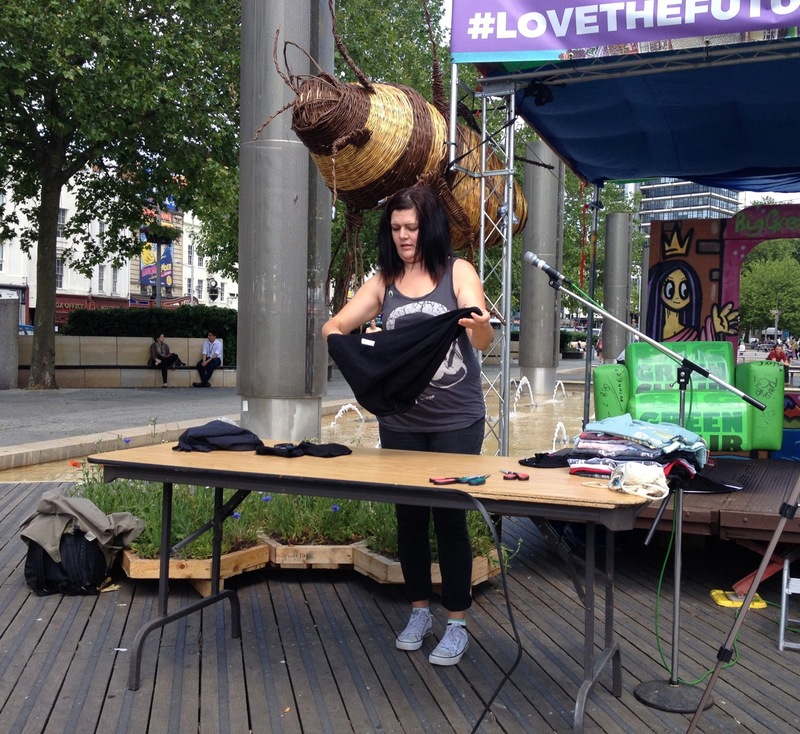 Get in touch with Jessica if you run a re-use business, charity or project have some ideas about creative re-use or just want to find out more about re-use. I was truly inspired and am germinating several ideas for projects, although I still haven’t found anyone to take my old jewelry! If you are an artist working with re-used materials or would like to, email me about some further opportunities.